Saskatoon and Saskatchewan celebrated some major achievements in 2013. NatureCity Festival debuted in May 2013 and was a huge success. Over 70 groups hosted more than 75 events. Activities ranged from birding and flash planting mobs to a Slow Food dinner, a medicine walk, and a presentation on grey wolves. The Festival was a very public celebration of local nature, involving people of all ages and backgrounds. In addition, it was heartening to witness diverse organizations banding together in a common cause. A second NatureCity Festival, scheduled to run from May 25-31, 2014, is currently in the planning stages. The Northeast Swale Watchers is a group of concerned citizens intent on preserving a healthy swale for future generations. They brought their expertise (birds, wildlife, native plants, wetlands, etc.) to the planning table, assisting the City of Saskatoon and the Meewasin Valley Authority in preparing development guidelines for the Swale. The growing awareness and understanding of the value of natural areas has added a new dimension to urban planning in Saskatoon. The Northeast Swale Watchers continue to speak out on related issues, such as neighbourhood development plans and wetland policies, demonstrating the importance of knowledgeable, independent advocates for nature. In Spring 2012, the federal government transferred ownership of the PFRA pastures to provincial control. The Province of Saskatchewan is putting the lands up for sale or lease to patron groups. Ranchers and environmentalists spoke out strongly against the provincial government’s plans and worked hard to explain to politicians, government officials, and the public at large the importance of safeguarding the well-being and legacy of the province’s publicly-owned grasslands. Pasture advocates held public meetings and educational events and initiated significant media coverage of the issues. 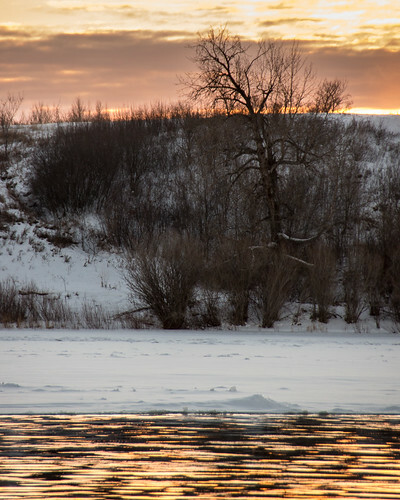 As a result, more people than ever before are aware of the intrinsic value of prairie grasslands and virtually all of the land will remain publicly owned for the time being. Support for local food and urban agriculture continues to grow. New community gardens open every year; more and more schools are planting vegetable gardens; and a number of farmers are successfully employing SPIN Farming principles. In 2013, EcoFriendly Sask provided financial support for CHEP’s Backyard Garden Sharing program as well as several school garden projects. The urban agriculture trend is expected to continue to grow in 2014. We hope that greater attention will also be given to protecting the agricultural land surrounding the city. Saskatchewan relies on coal as its primary energy source, despite the associated heavy impact on the environment. Saskatoon Community Wind offers a green, locally-owned alternative and has tremendous potential. After developing significant public support in 2013, we hope that Saskatoon Community Wind’s plans will begin to bear fruit in 2014. There is increasing support for sustainable building and renovation practices. Innovation Place has led the way with two of the first three LEED-certified buildings in Saskatchewan. Their choice of building materials, use of alternate energy sources, water conservation measures, and more demonstrate their support for sustainable building practices. An increasing number of individuals and developers are incorporating solar panels and superior insulation in their homes and projects. 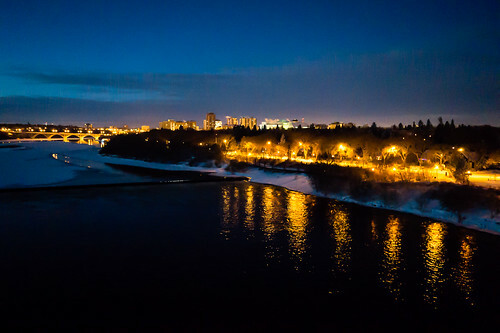 The City of Saskatoon plans to start monitoring energy usage in all their buildings as a first step towards more rigorous energy usage policies. Information about green building practices and alternate energy sources is available but is not always easily accessible. There is a need for a more unified information source and opportunities for interested individuals to ask questions and share information. A green building tour would be a valuable initiative. The cycling community has led the way in promoting alternate forms of transportation. This issue will continue to attract attention in 2014 and should lead to increased awareness of the need for better facilities for pedestrians and bus passengers as well. Truck sales in Saskatchewan are triple the national average. It’s time to question the need for such large, inefficient vehicles in an urban environment.